It seems like I’ve been having great luck with movies recently, and the trend just keeps on going. I’ve been really looking forward to Baby Driver since I first saw the trailer for it. Writer and director Edgar Wright is best known for his Three Flavours Cornetto Trilogy which consists of Shaun of the Dead, Hot Fuzz, and The World’s End, all starring Simon Pegg and Nick Frost. He was also the director of Simon Pegg’s and Jessica Stevenson’s cult tv show Spaced. This looked like a bit of a departure from what he normally does, but it also looked like it still had that frenetic yet controlled style he employs. Let’s just say Baby Driver takes everything great about Wright’s work and enhances it to whole new levels to create one of the greatest action films you’ll see all year. Despite getting into an accident as a child, losing both his parents, and suffering from a permanent “hum in the drum” as a result, Baby (Ansel Elgort) is the best escape driver in the entire underworld. Doc (Kevin Spacey), a major thief in the criminal underworld, is lucky to have him on as a permanent member of the team, despite other employees finding his constant state of listening to music and lack of any kind of vocal interaction unnerving. After one particular job goes wrong, Baby finds some comfort in an unassuming waitress named Debora (Lily James). 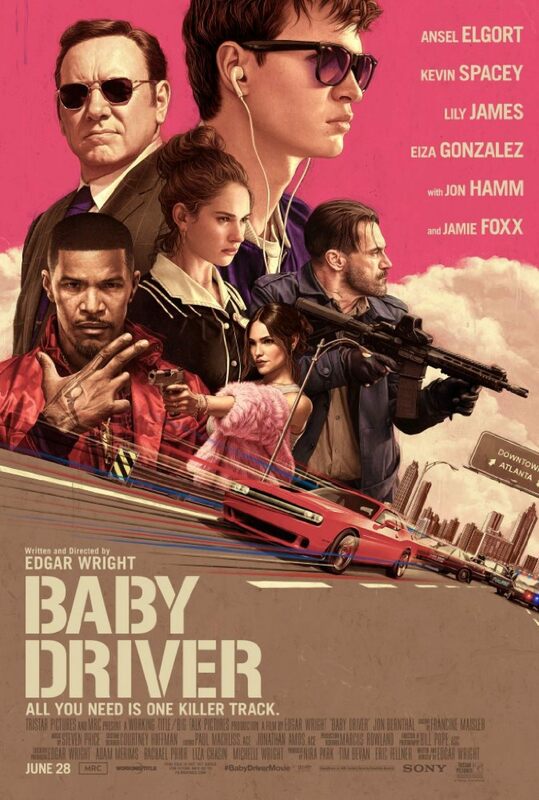 Their relationship seems to be growing fast, but Baby is soon coerced back into the business by Doc and forced onto a crew consisting of his long time partners Buddy (Jon Hamm) and his wifeDarling (Eiza González), but also the sadistic Bats (Jamie Foxx), who threatens everything Baby stands for just for the hell of it. With this job closing in, Baby starts making plans to betray the team and make his escape with Debora, but it won’t be easy to escape the eyes of his brothers in arms and he’ll have to fight them with everything he’s got to truly escape. Baby Driver is a lot of things. It’s a drama, it’s a dark comedy, it’s a gangster flick, it’s a heist movie, but more than anything else it’s an action film. This movie has more energy than any action movie I’ve seen in a long time and you can tell that everything that Edgar Wright is as an artist and a film maker went in to making this movie as great as it possibly can be. The car chases and various escape sequences are exhilarating, and the fact that the stunt work and various crashes and last ditch escapes were done in camera and not using computer generated effects makes the whole experience all the more worthwhile. The first car chase had me hooked, but the ride was far from being over and it just got more exciting from there. This is a good time to bring the editing up. If this film doesn’t get recognized for its editing at the Oscars, then I really don’t know what I’ll do. Wright puts this entire film to Baby’s various soundtracks, and when I say that every scene moves in time with the music, it’s no exaggeration. The best way to describe this film would be to use the word “precision.” We’ve all had that conversation about what song would work in what kind of scene. Well Edgar Wright and his team took that idea to the limit and created a whole new way to watch a movie. With movies like Baby Driver that immediately combust with such high energy, it’s usually inevitable that the middle of the movie will slow down to an almost unbearable crawl for characters and other kinds of motivations to be built on. Somehow, someway, Edgar Wright found the perfect formula to expedite this whole process while still making it easy to care about the characters. Jamie Foxx’s character is introduced somewhere around the end of the first act and beginning of the second act which doesn’t slow the movie down even a little bit. In fact, Foxx is so excellent in his performance of Bats that the movie found another burst of energy with his arrival. Time is also given to Ansel Elgort and Lily James and their budding romance. This is where the movie stumbles ever so slightly. The tough guy talk didn’t need to carry over from the crime scenes to the romance scenes. It just didn’t fit very well and the attitude was just a little bit to much in these moments. If it was toned down a little more I think these scenes would have hit the mark a little bit better. When the third act begins, however, all mistakes are forgotten and my eyes were glued to the screen while the action never ceased to let up. I feel like there’s something of a stigma around action movies that say films in this genre can rarely be called works of art. Much like horror films as of late, there’s been a cool trend of more artistic action films, and Baby Driver falls firmly into that place. Wright and his team know how to make a film look great and sound great while also thrilling audiences with off the wall action sequences and entertaining characters. When the lights came up in the theater, it was almost hard to finds words to properly elucidate the originality and technique of the film I just watched. Edgar Wright isn’t just a good film maker. He’s clearly an excellent one and an auteur in his own right. I’ve been taught by many people that film is a visual art, where the story should be shown more than it should be told. 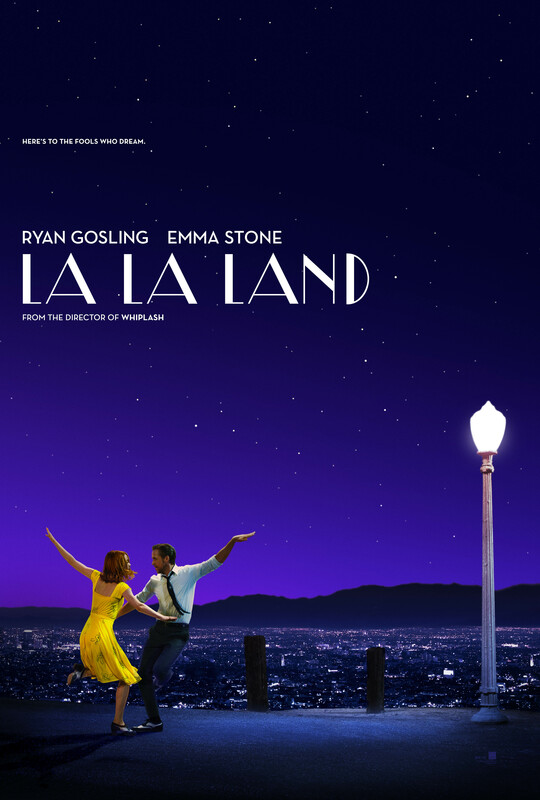 This movie takes it another step and uses music to help tell its story in a way I haven’t seen in a movie before. When music isn’t playing, it felt weird. This was a risky thing to do. It would be very easy to mess up a movie where music is constantly playing, but this one pulled it off with such finesse. In case I haven’t made my point perfectly clear already, Baby Driver was fantastic and easily is and will remain one of the best movies of the year. It’s action is shot beautifully with excellent stunt work and precision driving, the soundtrack knocks the second Guardians movie into next week, and the editing is some of the best I’ve seen in years. This takes action films somewhere new and unique, even though the story is less than totally unheard of. I can’t say this film is style over substance, because the two work tandem so well. It would be a sin to miss this movie, so get to it as soon as you can. If someone were to make a list of iconic singers from around the world, I can guarantee that Édith Piaf would be close to the top. Piaf’s unique voice and graceful stage presence made her an international success until her untimely death at the age of just 47. Even today, her music can be found in movies, television, and commercials which shows that even though she’s no longer with us, her musical legacy is still strong. Something that reinforced this was the 2007 film by Olivier Dahan, La Vie en Rose. This film tells the life story of Édith Piaf, which includes incredible joy and overwhelming tragedy. It’s definitely a story that had to be told. 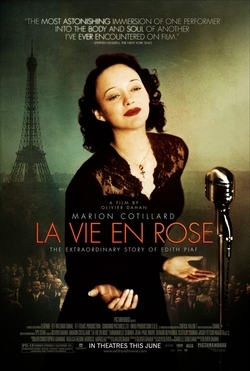 The film begins with a sick looking Édith Piaf (Marion Cotillard) taking the stage for a concert, and quickly fainting during a song in front of a large audience. The film then cuts back to 1918 when Piaf was just a young child who is left by her parents to live with her grandmother in a brothel in Normandy. As the years go on, Piaf makes a meager living singing on the street, but is soon found by Louis Leplée (Gérard Depardieu) and invited to sing at his club where she quickly becomes something of a local celebrity. As time goes on, her fame increases and travels around the world, including New York City, where tragedy hits hard when she loses the love of her life, Marcel Cerdan (Jean-Pierre Martins), in a plane crash. Finally, back in France towards the end of her life, it’s clear that Piaf’s abuse of prescription drugs and alcohol have taken a huge toll on her health, and the devastating realization that soon she will no longer be able to sing anymore. This is a hard movie to summarize because it tells so much of a person’s life. This is a pretty long movie, clocking in with a run time of almost two and a half hours, but even then I feel like there may have been more to be told. That works to the film’s credit since I was intrigued by the subject and the handling of Piaf by making the icon into exactly what she was: a human being. While I love the way Piaf is depicted in this movie, I wasn’t really a huge fan of how the story was told. The film starts towards the end and then jumps back to the beginning for a while, and naturally progresses from there. That’s all fine, but as the movie goes on it jumps back and forth and then introduces an even later timeline, and then starts jumping around even more rapidly. Towards the end of the movie, I jumped around so much that I was sometimes confused with where and when I was in the story. I understand that this was a way for the film makers to get in as much of the story as they could, and I’m ok with a cut up timeline, but this was just way overdone. It’s impossible to talk about La Vie en Rose and not talk about Marion Cotillard. This is, in my opinion, one of the greatest screen performances of all time. When you’re watching the movie and getting more engaged in the story, you forget that you’re watching Cotillard playing Édith Piaf and are actually watching Piaf herself. I know that’s how I felt. It’s a complete transformation from one person into another, and it’s truly incredible. Not only does she nail Piaf’s voice (although the singing was dubbed), but also the way she stood, small mannerisms that she had, and even small changes to her face that made all the difference. With a movie like this where the character was a real person whose life was filled with such success and tragedy, it’s important to believe what’s happening. Cotillard’s performances made this a very easy film to believe and get lost in. She is a marvel to watch, and earned the Academy Award for her performance, which is one of the few times someone has won this award for an entire foreign language role. La Vie en Rose also is just a beautiful looking movie, even in the beginning when a young Piaf is living a life on the streets in Belleville to the more upscale life that she led in New York. The set design is all fantastic and the costumes work great with the different decades that Piaf lived through. There’s just so much wonderful stuff to look at, and I have to give a lot of credit to Olivier Dahan and his direction for adding something more to the design. At first, I thought the directing was nothing special, but that’s not the case. It’s understated and controlled and never takes the style too far. One of my favorite scenes in the movie happens during a devastating moment in Piaf’s life, and instead of cutting, the scene follows Piaf through her entire apartment and catches the entire range of emotion in her performance and the atmosphere surrounding the incident. La Vie en Rose is not without it’s faults, but it’s a movie that truly captures the tumultuous life of an icon of music. This is a frustrating movie to sit through, at times, because how the story keeps jumping from the past to the present to the future to the past then who knows where. If that was just toned down a bit, the movie would have been improved. Still, Cotillard’s performance, the production design, and Dahan’s skilled directing make this an above average biopic. I’m not saying that the horror genre is completely saved, but what I will say is that there has been a major step up in the genre thanks to indie film makers. Within the past year we’ve had some excellent independent horror films like It Follows and The Witch grace theaters with the intelligence and originality that I love seeing movies like this. 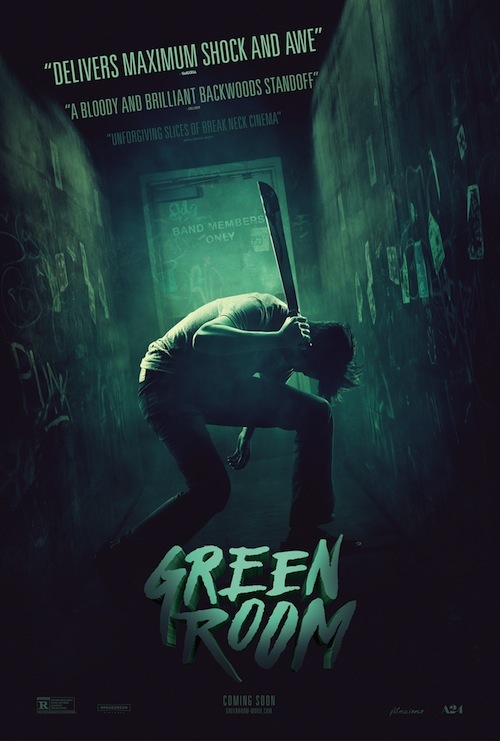 Now we have Jeremy Saulnier’s newest film, Green Room, which can be added to this new echelon of horror. This is a bloody, suspenseful, and exhausting movie that puts new faith in no holds barred horror film making and made me jealous that I didn’t make this movie myself. Pat (Anton Yelchin), who is in a punk band with his friends called The Ain’t Rights, is in the middle of a pretty unsuccessful west coast tour. After a show in Seaside, Oregon that is a complete bust, they are hired to do a gig in the backwoods of Portland in a club that is owned by a group of neo-Nazis. While the show itself goes fine, things take a turn for the worst when Pat stumbles upon a murder that took place in the green room backstage. Now Pat and his friends are being held by the skin heads and their leader, Darcy (Patrick Stewart). Darcy and his crew have no desire to let the band leave alive, which means the group of inept punks have to band together, strategize, and fight their way to freedom. I love movies that take place in one location because I feel like it adds something more immediate to the story. While there are a couple places the band goes to in Green Room, the central story focuses on Anton Yelchin and his friends just trying to get out of the small skinhead club. This makes for plenty of claustrophobic scenes laced with paranoia and close quarters fighting. That being said, this is a very intense, gritty, and gruesome movie and Jeremy Saulnier really makes it a point not to shy away from any of the brutality. If you get sick looking at blood or absolutely abhor violence, this is certainly not the movie for you. 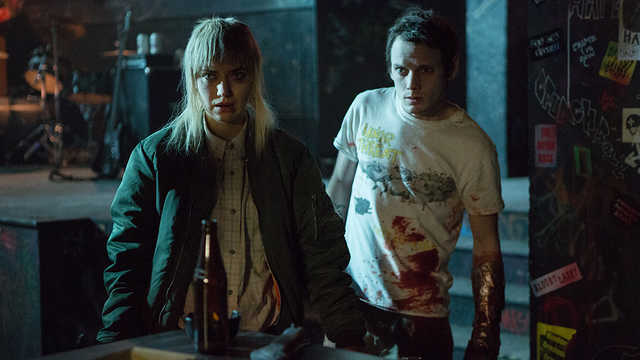 If you’re looking for that grindhouse thrill, Green Room certainly has your back. This isn’t to say that Green Room is just some cheap grind house movie, because it’s so far from that. This is a very well executed, shot, and acted movie that has the balls to the wall attitude of ’70s exploitation and shock cinema. The true horror behind this movie that allows it to really stand tall and be more than just a shocking movie is the almost unbearable suspense and the down to earth characters that you’re almost certain to run into the likes of at some point. The scenes when it’s the punks against the skinheads during an escape attempt, it gets a little hard to breathe. There was a point in the movie where I realized that anything could happen to these characters and it was best to stop thinking like I knew what was going to happen next. This isn’t fleeting fear. This is fear that gets under your skin and makes you feel like you need a power shower. One of the main reasons I was so interested in this movie was to see the great Patrick Stewart not only play a villain, but a villainous backwater neo-Nazi. Captain Picard as a Nazi. How does that not make anyone interested? It came as no surprise to see Stewart completely own his role and not go the over the top route that could have been gone. Like I said, the characters are pretty grounded in reality and that include Darcy. When Stewart first read the script, he said he really wanted the role because of how scary he found Darcy, and he does a great job with the character. Green Room can join the ranking os one of my favorite movies of 2016 so far. There’s still a lot of movies ahead, so anything can happen, but right now I just can’t get it out of my head. This film is a brutal reminder that the world is full of heinous people, but never does it forget to be entertaining. It’s filled with an almost unbearable amount of suspense, an excellent performance by Patrick Stewart, and plenty of terrifying scenes that you can not unsee. Thank you Jeremy Saulnier and Green Room for helping breathe new life in a stale genre. Of all the historic photographs held in the National Archives, you might be surprised that the most requested picture of all time is of Elvis Presley shaking Richard Nixon’s hand in the Oval Office. The King of Rock n Roll and one of the most notorious presidents in American history sure make quite the duo. What’s even stranger is that there are no records to give the reason why these two American icons met in the first place. 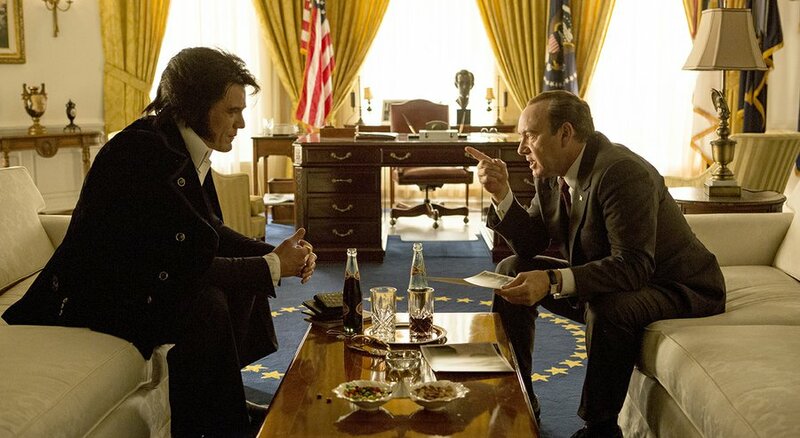 That brings us to Liza Johnson’s Elvis & Nixon, a pretty absurd comedy that offers a pretty hilarious fictionalized account and possibly reason behind the whole meeting. 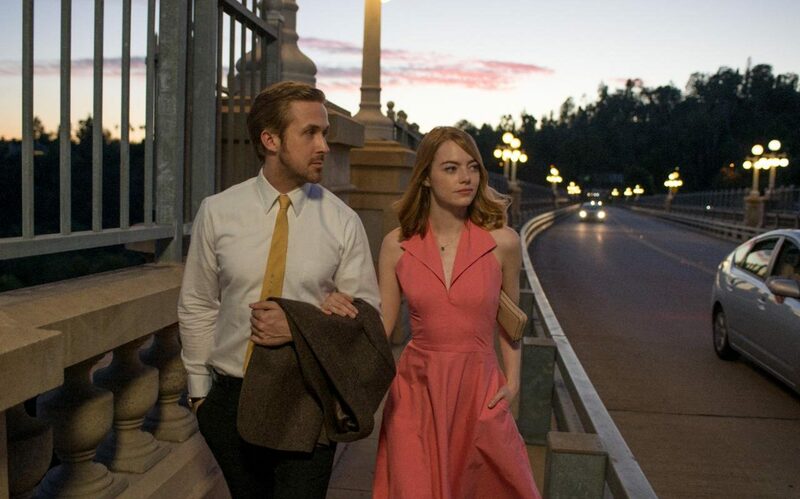 What I really love about this movie is that it knows what it is, and it also gives leaves some time between the absurdity to offer some interesting themes surrounding celebrity and a person’s real identity. In 1970, Elvis Presley (Michael Shannon) still has his status as one of the biggest superstars in the world, even though his impact on the entertainment industry has declined since his earlier days. Meanwhile, President Richard Nixon (Kevin Spacey) has held the presidential office for a little over a year and has his sights set on re-election. After seeing the troubles plaguing the youth of the nation, Elvis decides that he hasn’t been doing enough to make the next generations of Americans safe and prosperous. This line of thinking leads to his decision that it’s time for him to be given a federal badge and be appointed a “federal agent at large.” Armed with his golden pistols and trusty entourage (Jerry Schilling and Johnny Knoxville), Presley makes his way to Washington D.C. for what he believes will be a monumental meeting with the president of the United States. I’ve explained this movie to some people who haven’t heard of it, and the looks on their faces as I’m talking makes me feel like I have three heads. Elvis & Nixon is, without a doubt, completely absurd. That being said, however, a lot of the events surrounding these two cultural icons are even more absurd than most of the things in this movie. There’s a part of me that believes their secret meeting might have gone a little something like it does in the movie because we all live in such a crazy world anyway. This is where I give a lot of credit to the screenwriters (one of whom happens to be the Dread Pirate Roberts, himself, Cary Elwes). The story that they’ve constructed is very silly, but there is a lot of really snappy dialogue and an understated, yet very present, grounding in reality. When Elvis & Nixon takes a break from the over the top scenarios and barrage of witty banter, there is time to look at the characters for who they truly are. That, I believe, is the real point to this movie. What we have are two people that couldn’t have been different from each other, and having never met one another have their own judgmental opinions of the other. It’s interesting to see the interaction when they finally do meet and the real people behind what the media has created for them is revealed. There’s one excellent scene in the movie where Elvis says when regular people walk into a room they are recognized for who they are, but when he walks into a room he is only recognized by the preconceived notions and memories that his fame created. This idea of separating a celebrity from their works to see them as a person is a pretty timeless theme and it’s handled surprisingly intelligently in this film. Besides the premise, the two main actors were the big reason why I was excited about this movie and they did not disappoint. Michael Shannon may not look a lot like Elvis, but he seems to have mastered all of the movements and swagger of the King, and even sounds a lot like him at times. The best part of Shannon’s performance is that he never makes it over the top. He brings a subtlety to the performance that feels real, and it reminds me why he is one of my favorite actors. Speaking of my favorite actors, Kevin Spacey is hilarious as Richard Nixon. He has all the same subtlety as Shannon, and never turns Nixon into a caricature. I was concerned that Spacey would just come across as Frank Underwood from House of Cards, but he really does step away from that president and become Nixon. 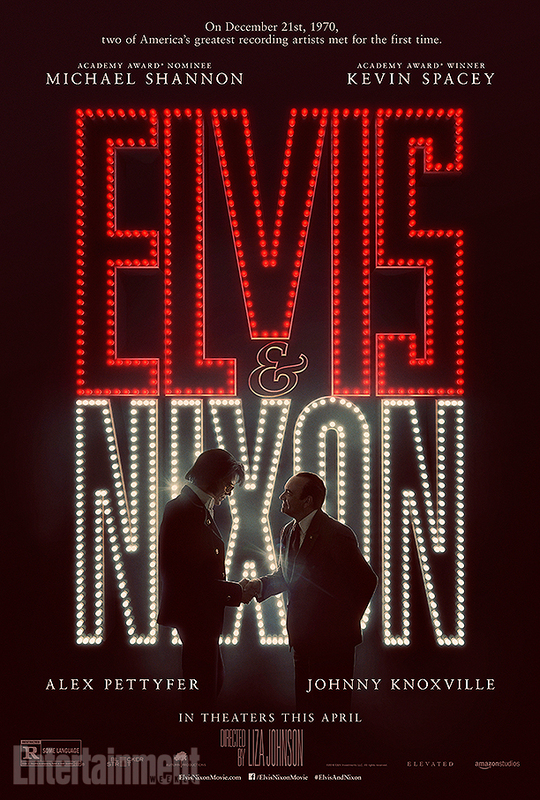 What’s great about Elvis & Nixon is that it never tries to come across as more than it is. What this film is is a sometimes over the top satire of a time period, celebrity, and even politics, but done so in the most unpretentious of ways. There’s some real humanity amongst all of the jokes and absurdity, and the actors play their roles with real skill. Elvis & Nixon won’t go down as a classic or even a movie that’s going to be really remembered and discussed, but that’s ok. This is still a really good and fun movie that is well worth anyone’s time. There are many great artists who die way before they’ve done everything they had the potential to do. This goes for musicians, film makers, actors, painters, and really anything you can think of. Hank Williams is one of those people that falls into this category devastatingly well. Much in the vein of what Walk the Line did with Johnny Cash, Marc Abraham’s I Saw the Light tells about the ups, downs, and inevitable end to Hank William’s career and personal life. It’s a very interesting movie about a very interesting person, but it unfortunately stumbles into pit falls that a lot of biopics do. It’s a bit too long, unfocused, and brushes over points of interest far too much to really make this a movie that comes close to reaching its full potential. The film begins in 1944 with Hank Williams (Tom Hiddleston) and Audrey Sheppard (Elizabeth Olsen) getting married in a gas station in a small town in Alabama. What follows is the story of how Hank rose to fame and the toll it had on his life and on his family. He started out humble enough, playing small shows around town and hosting his own radio show where his band and his wife sang songs early in the morning. Eventually, Hank goes on to become a member of the Grand Ole Opry, and that’s where his career really took off. With a string of hit songs and a winning stage personality, it seemed America found itself a new voice. What people didn’t know was Hank’s troubling addiction to drugs and alcohol and the strained relationship with Audrey and his children that was caused by these addictions and his sharp rise to stardom. People who make biopics are undoubtedly taking on a huge responsibility. First of all, their subject has to be done properly for their fans or followers or even the subjects themselves to fully respect what was created in their name. There have been some huge successes like Walk the Line, Selma, and even Love and Mercy. Unfortunately for I Saw the Light, this Hank Williams biopic doesn’t stand nearly as tall as the movies I’ve mentioned. First off, I’m a little concerned on how balanced the movie is in terms of his successes and his failures. I’m no expert on Williams, but I felt the film focused mostly on his addiction to drugs and alcohol, and not so much on his time at the Grand Ole Opry or really exploring his music further. All in all, I Saw the Light was a pretty depressing movie for the most part of it. This isn’t to say that there isn’t some great drama and music in this movie, because there are scenes that work really well. One particular scene shows Hank Williams showing up to a concert completely out of his mind and making a complete fool of himself before he even plays a note of music. That was a really good scene that’s unfortunately cut a little too short. A lot of things are cut short in the movie, even when it comes to character development. There are a few friends of Hank that show up throughout the movie that we are supposed to care about, but nothing is ever done to make the characters appear real or change. Even though the movie is about Hank Williams doesn’t mean that they couldn’t explore the lives of the people in his band a little as well. On the flip side, the music that is in the movie all sounds very authentic and really puts you in the time period. Hiddleston and the rest all perform the songs very well and I found myself tapping my toes on more than one occasion. Speaking of Tom Hiddleston, I’m not even sure he was in this movie. For all I know, I was watching the real Hank Williams, who rose from the grave just so he could star in his own biopic. Hiddleston can now be ranked with those few actors who have completely transformed themselves into a character to the point where you don’t even feel like you’re watching them and you can lose yourself in the story. His movements, voice, posture, and expressions all seem so meticulously planned to create the most authentic representation of Hank Williams that he could possibly conjure up. If anything, people should just see the movie for Hiddleston’s performance. I Saw the Light has a lot of problems with how the story is told and what the story focuses on, but there are also plenty of good things in the movie. Tom Hiddleston is fantastic, the music is so much fun to listen to, and I really had no problem immersing myself in the time period. Unfortunately, I don’t feel like I got the full story on the life and death of Hank Williams. This is a movie that could have been great, but instead it’s just pretty good. Is it worth seeing? Yeah, I think so, but don’t expect to be completely fulfilled by the end of it. I recently reviewed the Coen Brothers’ newest film, Hail Caesar! last month, and now I’m right back at it, but this time with their 2013 film Inside Llewyn Davis. I really wanted to see this movie when it first came out, but a combination of laziness and more laziness prevented me from actually making it to the theaters. It’s been quite some time since its release, and I have just now gotten around to seeing it. Let me just say, that it was worth the wait and I feel it is one of the Coen Brothers’ best. Inside Llewyn Davis was one of the movies that really hit me, and not only made me want to evaluate the movie and its different themes and artistic stylings, but also made me want evaluate some parts of myself. That’s a sign of a great movie right there. The year is 1961 and the folk scene of New York is a melting pot of different ideals, lyrical storytelling, and melodies that were made to hum to. For Llewyn Davis (Oscar Isaac), music has become something of a burden, despite his overwhelming passion to express himself through song and not be forced to sell out to some giant music industry monstrosity. As Davis navigates his way through the different basket houses and venues of New York trying to find a gig and make some sort of income, he is also confronted by demons from the past that are only making it more difficult for his life to fully come together. On a whim, Llewyn Davis decides to make the trip to Chicago to hopefully gig at one of the most important venues of the city, and also get the appreciation and income he feels he deserves. What Davis doesn’t understand, is that all of his misfortune can be followed back to his own poor life choices and decisions made out of haste. The first thing I think anyone has to talk about after seeing Inside Llewyn Davis is the outstanding usage and performance of music. The Coen Brothers have always seemed to use music in the best ways possible to enhance their movie, and before this one the primary example would have to be O Brother, Where Art Thou?. A lot of the success of the music in both of those movies is probably due to the fact that songwriting and producing titan T. Bone Burnett was the main creative force behind the song production, composition, and performance. What makes it all even more impressive is all the music in the movie is performed live and not added in in post production. That really says a lot for the musical talent of the actors. Oscar Isaac, Carey Mulligan, and Justin Timberlake all sound excellent in the movie. Another thing the Coen Brothers are known for are the memorable, and sometimes even iconic, characters they create. Wether it’s Jeff “The Dude” Lebowski, Barton Fink, or Marge Gunderson, the people that inhabit the strange world of these movies never fail to leave an impression. Now I can add Llewyn Davis to the list of Coen characters that really hit me hard. In fact, he might be one of the best characters they’ve ever created. Llewyn Davis is quite an unlikable guy who uses his friends, condescends to people with what he thinks is his unmatchable passion for music, and treats all the people who help in like garbage. At the same time, however, there are reasons as to why he has ended up like this, which makes him something of a tragic character and one that, despite all of his faults, can be understood. I wanted to see Llewyn Davis succeed, but I more so really wanted him to realize it was time to change. He’s such a great character, and certainly one that I won’t stop talking about for a long time. I’ve seen some people compare Inside Llewyn Davis to the Coen Brothers’ 2009 film A Serious Man. Both movies share a similar theme of a life slowly being destroyed as if it’s part of some rotten cosmic joke. A Serious Man presents this in a darkly funny way where it’s hard not to laugh the entire way through. Inside Llewyn Davis has a lot of funny moments in it, but I can’t consider this a comedy. This movie is far from being a straight up comedy. The humor that is in this movie is the same kind of dark, absurd comedy you see in many Coen Brothers films, but all the laughs really can’t outweigh the overwhelming sadness I felt at the end. This is definitely the Coen Brothers’ saddest film, and maybe part of it is because there’s nothing too hyperbolic about any of the scenarios in the movie. John Goodman certainly has the most outlandish part, but it’s really not hard to imagine that character being a real person. Just don’t expect to feel in a joking mood once the credits begin rolling. I don’t know how many people agree with me on this, but I believe that Inside Llewyn Davis is one of the Coen Brothers’ strongest films. Not only do they create a believable version of the New York folk scene in the 1960s, which seems to live and breath all on its own, but they also have created a tragic, yet sometimes funny tale about a deadbeat with more potential than he may realize. Everyone in this movie is great, and the music that is performed for the movie sounds amazing. It’s a certainty that you will be thinking about this movie long after it ends, and even though it left me with a rain cloud over my head, it also offers some great lessons and works as an expressive work of cinematic art.